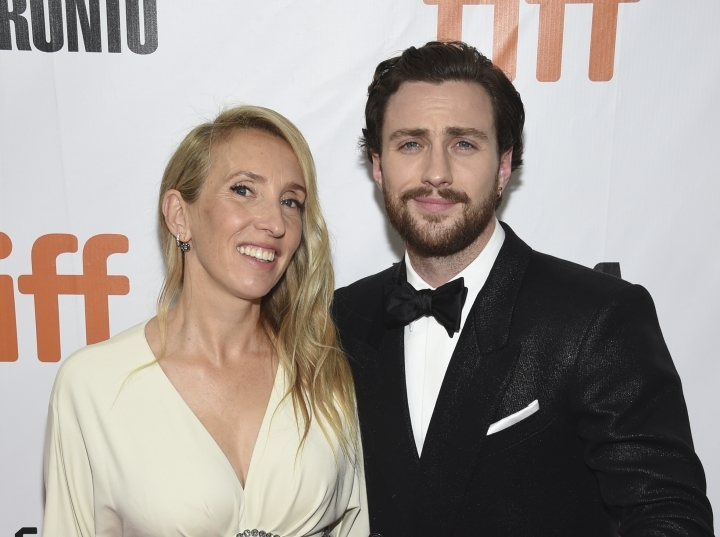 TORONTO — James Frey's "A Million Little Pieces," once one of the most toxic properties in Hollywood, has been reborn on the big screen thanks to director Sam Taylor-Johnson and her actor husband, Aaron, whom she wrote it with. In even a movie world where "based on a true story" often has elastic meaning, a film about "A Million Little Pieces" is a surprise. After Frey admitted to partially fabricating or embellishing parts of his 2003 memoir about drug addiction and rehabilitation, Oprah Winfrey, who had include Frey's book in her book club, memorably chastised him on television. The book's publisher, Doubleday, offered refunds to readers and in future editions included an author's note acknowledging distortions. But for Taylor-Johnson, who helmed the adaptation of another best seller ("Fifty Shades of Grey"), there was still truth in "A Million Little Pieces." "It was really storytelling," the 51-year-old British director said in an interview. "It's his journey, from where he is now however many years later, having been through the ringer in so many different ways. That's the thing that I hold true: James' sobriety from where he began to where he is now." "A Million Little Pieces" made its debut at the Toronto International Film Festival where it's seeking distribution. That it got this far is purely because of Taylor-Johnson's dedication to it. She and Aaron wrote the script on spec (without financing or producers lined up) and Frey granted them the film rights. Warner Bros. initially won the rights in a bidding war, with Brad Pitt's Plan B to produce. But following Frey's disgrace, the movie rights were returned to the author. Taylor-Johnson's production was far from such a heavyweight operation as was first planned. After raising the money, she shot it in 20 days. It is, Taylor-Johnson says, a passion project. "It felt exciting to breathe life into something that felt like it should have its day in the sun. Re-reading it, the story hadn't diminished in any way," she says. Taylor-Johnson was drawn to the book's vividness. (It opens with Frey awaking on a flight to Chicago with no memory of how he got there.) Critics in Toronto largely found the film a conventional addiction drama, and some were perplexed as to why Taylor-Johnson chose to not address the scandal at all. 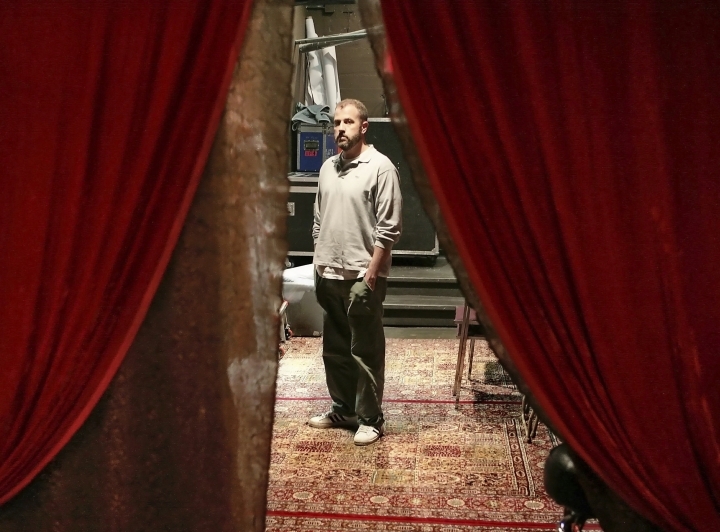 IndieWire's David Ehrlich wrote: "A James Frey biopic that ends when he gets out of treatment is sort of like a Milli Vanilli biopic that ends when they win the Grammy for Best New Artist." But Taylor-Johnson believes her "A Million Little Pieces" is its own work. "It's become a different entity again. You have 90 minutes to condense a 500-and-whatever page book, so characters have got lost by the wayside and some characters are three in one," she says. "It's a story based on that story." Frey has kept on writing. His new novel, "Katerina," was published Tuesday. It's fiction but not far-fetched: "Katerina" is about a writer who has a fall from grace. His "A Million Little Pieces" kept selling, too, racking up 1,000 copies per week in the year following his admissions. Despite exaggerations — like that Frey spent months in jail when he only spent hours — the book ultimately sold millions and still remains on Winfrey's website as part of her book club. Frey attended the film's premiere in Toronto, as did "Fifty Shades" actor Jamie Dornan. Taylor-Johnson's "Fifty Shades" grossed $571 million worldwide and some critics praised Taylor-Johnson's direction while reserving their harshest words for the dialogue by author-screenwriter E. L. James. Taylor-Johnson clashed with James, who was given more power on the film than screenwriters are typically afforded. Despite the film's success, Taylor-Johnson says she received no offers to direct afterward. "I certainly learned a hell of a lot from it. Everything I learned from that, I brought to the table for this. You learn more from difficult experiences than the easy rides," says Taylor-Johnson. "It gave me the encouragement, strength and confidence to do this under my complete control, in a way I can feel like it's truly my vision." She adds: "It's the first time I felt my true voice coming through."